Upon opening Acctivate, users have the option for a few different Acctivate windows to appear automatically. 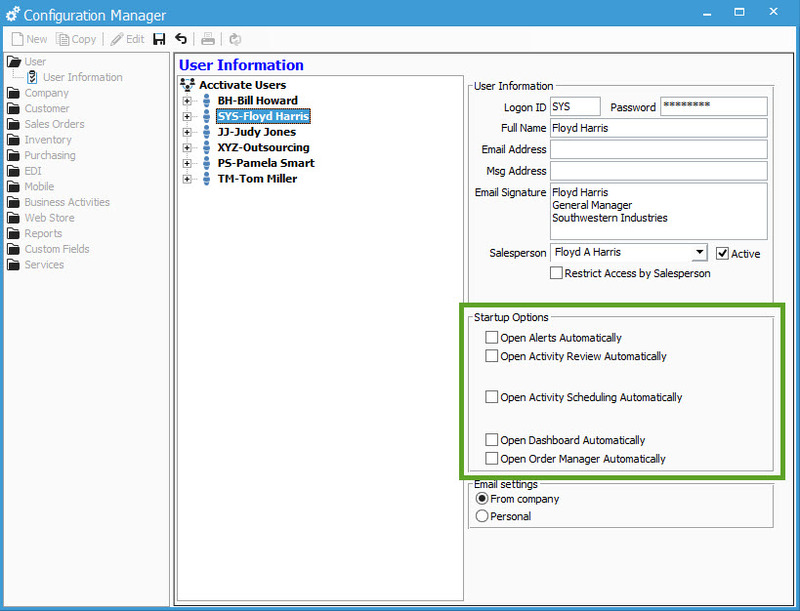 This option is user specific and can be changed in Configuration Manager. To view the options available for Startup windows, go to File > Configuration Management. Under User > User Information, select the proper user ID and look at the right panel of the window. ** These options are related to the Business Activity Module of Acctivate. If your company does not have the license for this module, selecting these options will not pull up any windows on Startup.